Here's a roundup of Ward 5 Online's favorite #Somerville photos on the interwebs. 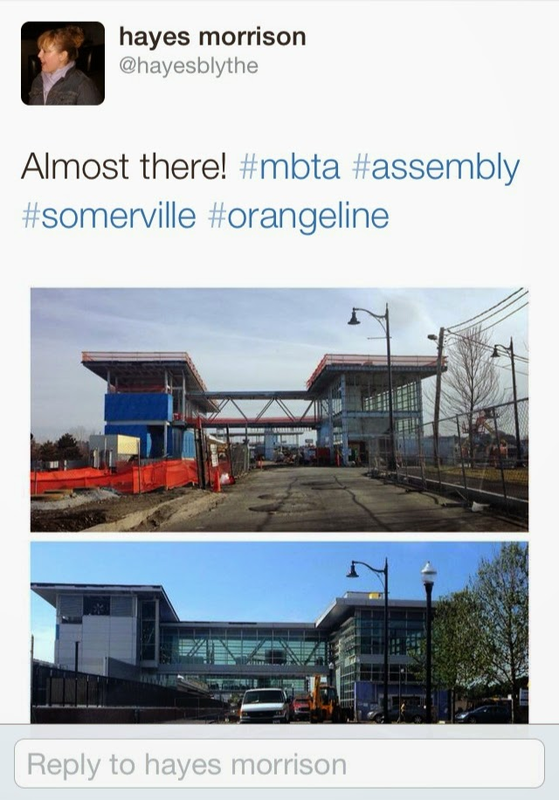 This will be an ongoing series where you can nominate tweeted or Facebooked (appropriate) #Somerville photos for this roundup by bringing it to my attention using @Ward5Online in your retweet or Facebook post. Attending a great #Somerville event, frequenting a great local #Somerville business, or getting a photo-op with a #Somerville somebody are just a few ways that can get you considered for inclusion on Ward 5 Online! 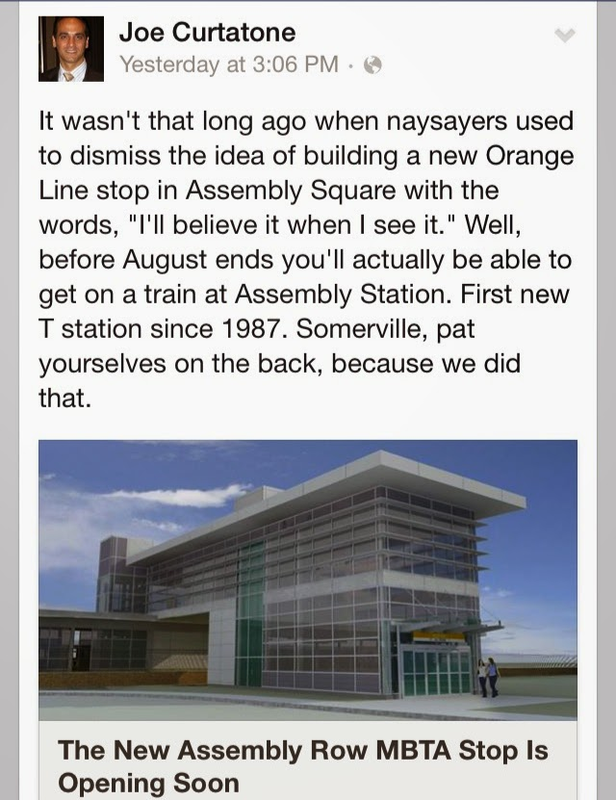 The Assembly Square Orange Line opening later this month occupied the Facebook and Twitter accounts of two die-hard fans of transit, Hayes Morrison and Mayor Joe Curtatone. Firefighter Eric Saulnier took to his Facebook page to thank all who attended and donated to his family's annual Booze Cruise for Autism. The Somerville Special Education Department will be receiving some brand-new iPads courtesy of this great event! 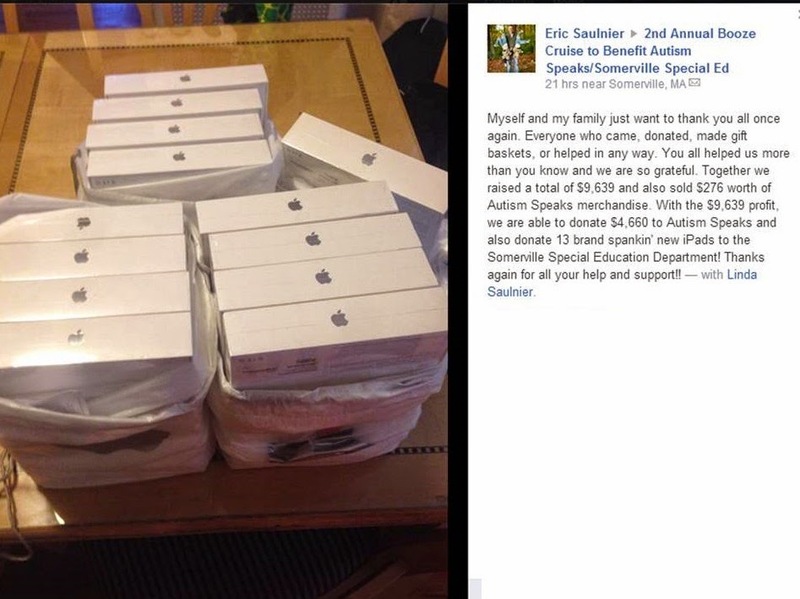 13 new iPads!?! That's awesome.